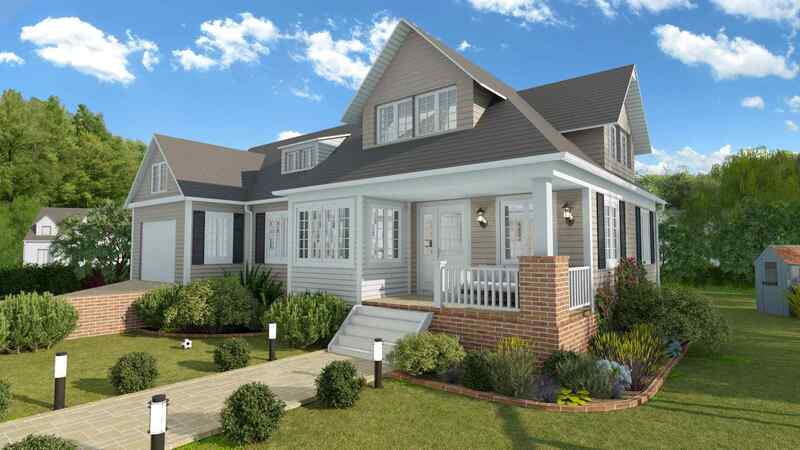 Home floor plan software: drawing a 3D home floor plan has never been easier! Design intuitively, no 3D skills needed! With Cedreo, design a 3D home floor plan from start to finish in a matter of minutes. 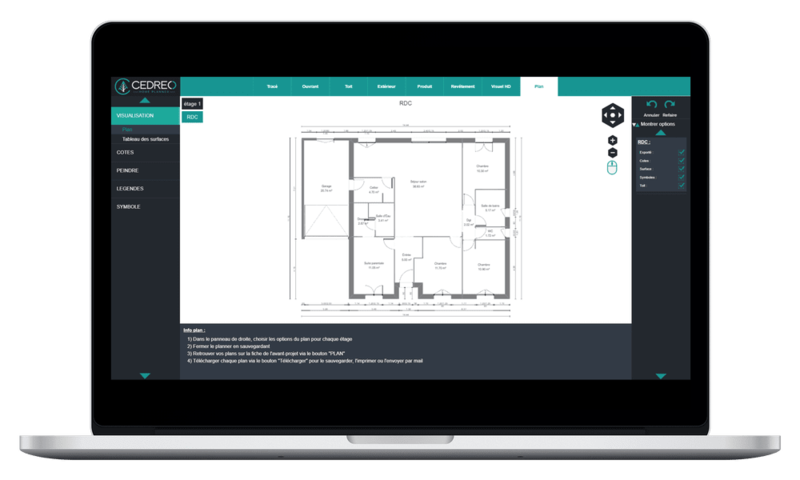 Tailor-made or from a previous project to help you save time, plotting and customization of home floor plans with Cedreo is intuitive and accessible even without a technical background. Draw the 3D home floor plan with ease with all the functionality that you need to save time. Is your client finding it difficult to picture the layout and size of their future home? Cedreo’s solution: 3D home floor plans and axonometric projections. Go from 2D floor plans to 3D views of the fully-furnished home in one click. 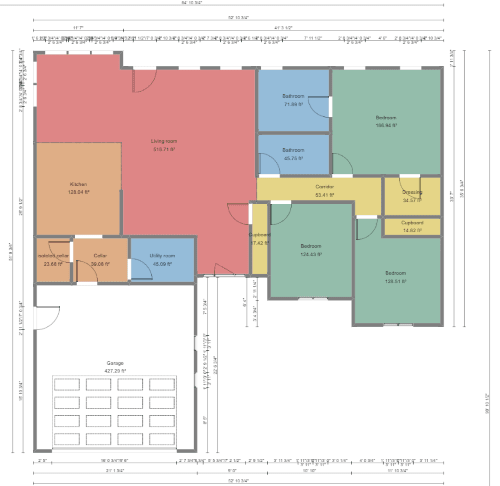 3D floor plans help clients gain a precise understanding of their project. 3D fully-furnished rooms give clients a realistic appreciation and convince them of the final results so they can remove any doubts. Mono-pitched, multi-pitched, flat, ridges, dormers, gutters, downpipes, etc… Add roofing in a few simple clicks, adjustable and customizable. Easily save and load each version of your home floor plans, sorted by client, thanks to the built-in project manager and search functions. All your floor plans are stored in one place and can be shared with your team. It allows you to create 3D home floor plan templates in your online Cedreo account, which can be modified and customized for your clients. Fast drawing thanks to magnetic walls, automatic orientation, angle displays between partitions, dummy partitions to create open spaces with different flooring. More than 540 models for bays, windows, doors and skylights, 100% customizable. You can also add complex opening shapes to your design, including round and polygon. Already have a dimensioned plan? 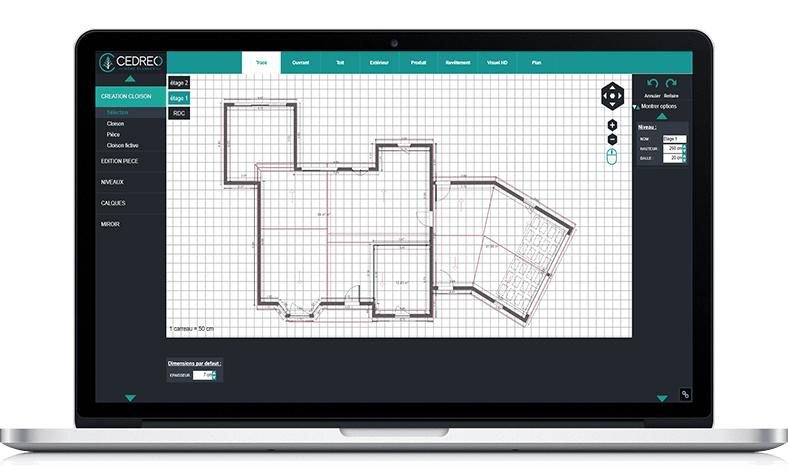 With Cedreo, import them into your 3D home floor plan project, resize them to scale, and use them to trace your floor plan. Cedreo’s software includes an automatic floor space calculation tool for 3D home floor plans. The floor space for each room is displayed in a table, ready to show to your client. Edit each room with intuitive features by level, manage sub-ceiling heights, create suspended ceilings, ad beams in one click. Cedreo is a home floor plan software designed for construction, renovation, and home design professionals. Easy and quick to learn, it allows non-technical users to create home floor plans without the need for complex CAD training. The creation of home floor plans using Cedreo is made even easier by a number of features to help in the drafting. From start to finish, you need less than an hour to draft a floor plan, add openings, automatic roofing, customize the surfaces then add landscaping and create an environment outside the home. To finish up, you can furnish the interior, with the help of a catalogue of more than 7,000 customizable products, and show the entire creation using a 3D rendering. 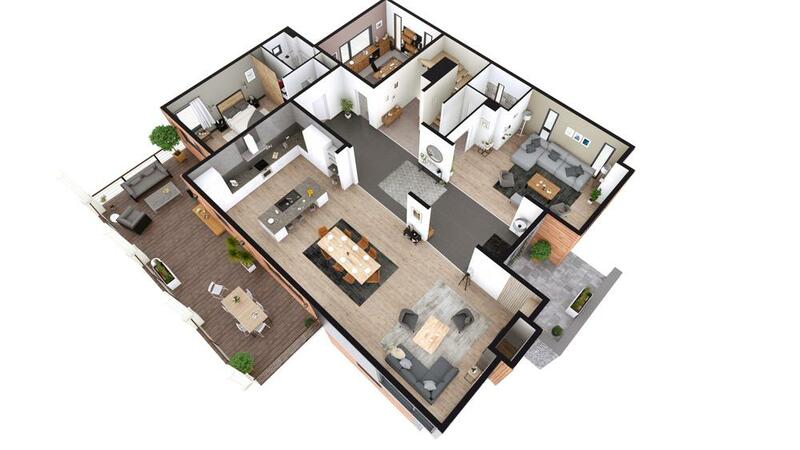 You will be able to receive client, present to them their 3D home floor plans with the software, present 3D renderings, and handle their requests in real time. The easy and flexible solution entirely built to help you sell more residential home projects and faster! The more efficient you are during the pre-sales process, the more time you have to meet clients and generate new leads! 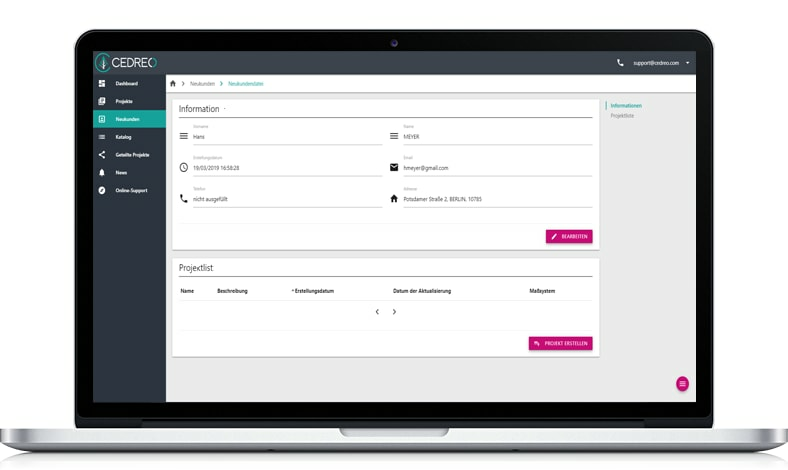 Cedreo is a tool designed to help you increase conversion rates and decrease the time that clients need to make their decisions.